Now I can’t run a marathon or anything like that, but I want to help Clatterbridge Cancer Charity and Sarcoma UK in ways that I can. 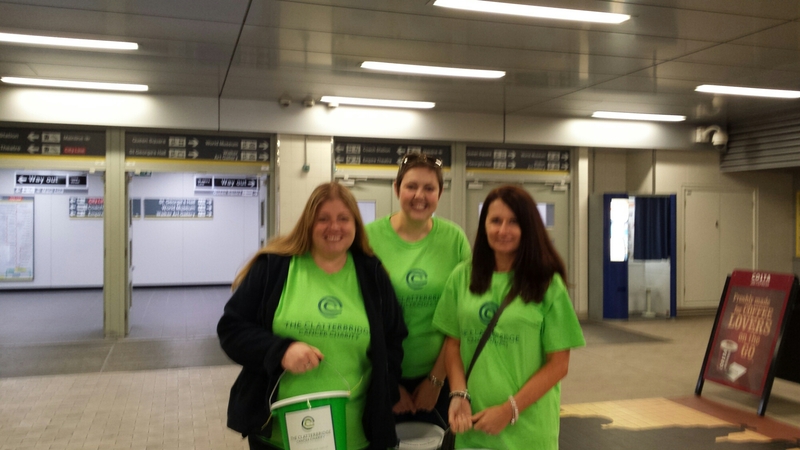 So…I’ve spent this morning at Liverpool Lime Street underground collecting donations for Clatterbridge. The lovely Vicki and Claire came along to help – Thanks so much to you both, and to everyone who kindly donated this morning!